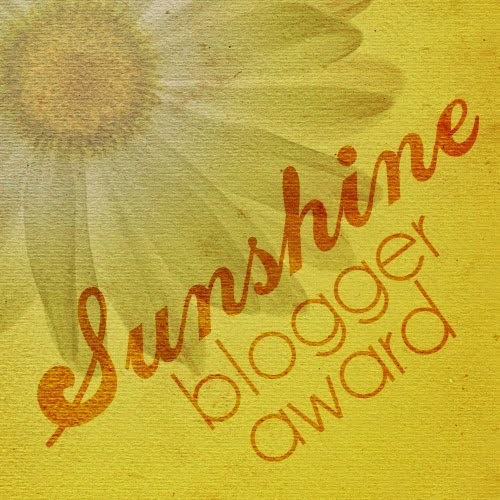 Elizabeth at Chasin' Mason nominated me for a Sunshine Blogger Award. 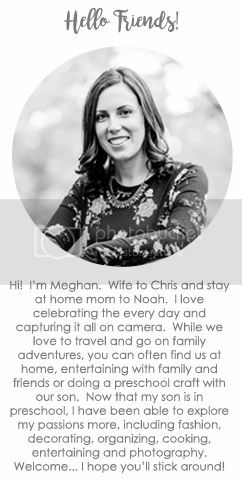 I've been nominated for a Liebster Award in the past, and I really do think it's fun to answer these questions and read the answers from my fellow bloggers. The Sunshine Award is similar to the Liebster Award in that you answer a list of questions, but it's also to spread positivity and encouragement. 1. I'm coming to stay with you, what fun activities do you have planned for us? Since we live 35 miles from NYC, we would definitely go there. I love going into the city for dinner and a Broadway Show. If the weather is nice I also love to go to Central Park. 2. For purely selfish reasons, what is your favorite go-to dinner dish? We make big batches of Nonna's sauce and freeze it. So my favorite go-to dinner would be a jar of the sauce with some pasta. It's really quick to make and everyone loves it... including Noah! 3. Who is(are) your blogging crush(es)? I read a variety of blogs. I love home decor, fashion, and lifestyle blogs. Some of my favorites include SchueLove, A Thoughtful Place, and The Daybook. 4. What is your favorite movie theater snack? Chris' mom works at the dentist I go to. After a routine cleaning, I was talking to her and she asked if I was seeing anyone. I wasn't, so she asked if she could give my info to her son. She had a picture of him on her desk and I asked her how tall he was before saying yes ;) Chris then emailed me and the rest is history. 6. What single quality do you most appreciate in people? Reliability. I really appreciate when I know I can count on my family and friends. Thankfully I have a great group of people around me that are always happy to help. 7. Are you a planner? Or are you spontaneous? Definitely a planner. I am much calmer when things are planned out. When we go on vacation I like to make itineraries for each day and even plan out what I'll wear each day. Neither really, but tea if I had to choose. I stick to water and Diet Coke. 9. What is your least favorite chore to do around the house (vacuum, dishes, etc.)? Scrubbing the bathtubs and showers. I feel like I'm unable to do it without getting wet myself and getting the grout clean is not always the easiest! 10. What is your favorite time of day (morning, afternoon, night) and why? I like mornings when Noah sleeps til 7:30/8. We both wake up happy and it's a like a fresh start. I also like the afternoons when Noah naps and I get a little time to myself. I've never been a night person and prefer to go to bed early. 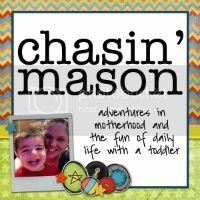 My blog is all about documenting my life with my family. As a result, my favorite posts have to do with family activities, like Christmas 2013. 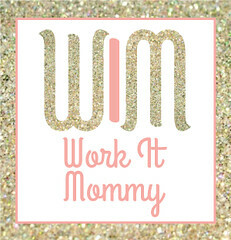 I also love looking back at posts about my pregnancy with Noah, his birth, and all the updates I've done. 1. What would we find in your purse at all times? 3. What's your favorite vacation spot? 4. What's your favorite store to shop at? 5. If you could change professions, what would you want to be/do? 6. What's your favorite meal... breakfast, lunch, or dinner? 7. What's your favorite TV show? 10. What is your biggest guilty pleasure? I love this! I loved learning more about you :) Especially the way you and Chris met. I never knew that! Such a cute story! haha! What a randomly fun way to meet your husband! Totally cute.